Tanning is bad. K, thx, got it. We all know tanning is bad and to apply and reapply SPF every waking hour, but facts are facts: everyone looks better with a little glow. I am honestly far too scared to ever try the full on instant tanner ever again (shout out to my legs during track season in 7th grade) even though I know they have gotten worlds better, I much prefer the gradual tan route to build a more natural glow with a lower risk of splotches. 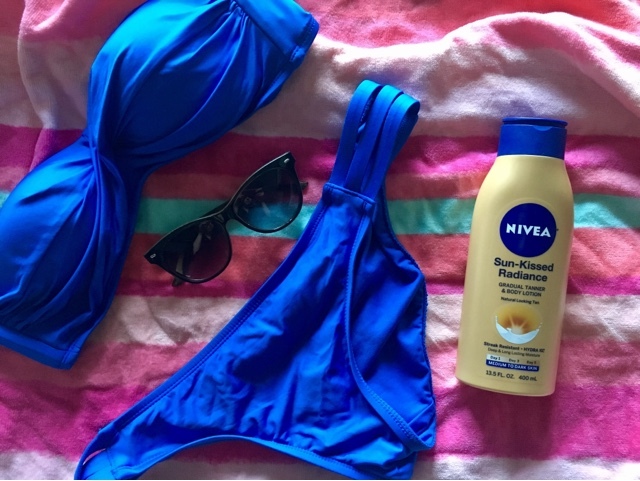 I have truthfully tried basically every option at the drugstore, and there is really no competition: Nivea Sun-Kissed Radiance Gradual Tanner + Body Lotion is #1. 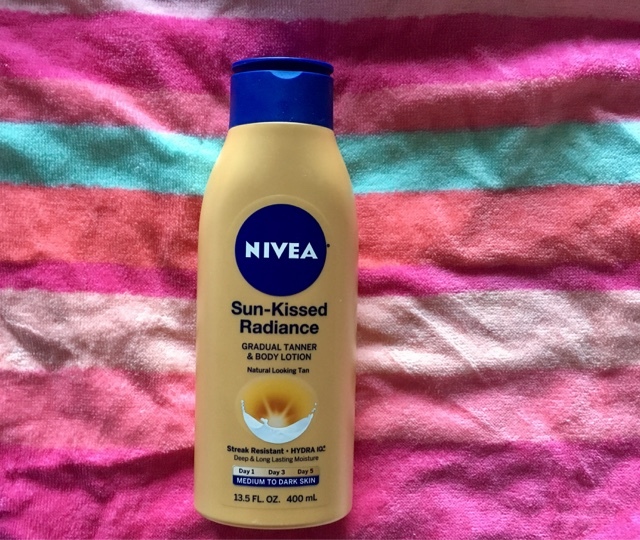 In my opinion, this builds a much more seamless and natural color than the other drugstore brands, including the in-shower options. It has a light citrus scent, and is super moisturizing, which plays a big part in making your skin look overall, healthy. You made me smile about the swimsuit! :) It is from Target and still online! This is a good recommendation... and not too pricey. Gradual tanners are the way to go for sure, those orange stripes from intense fake tanners are a bad look! Very nice post. Thank you so much for sharing. I love to buy online saree to look gorgeous.